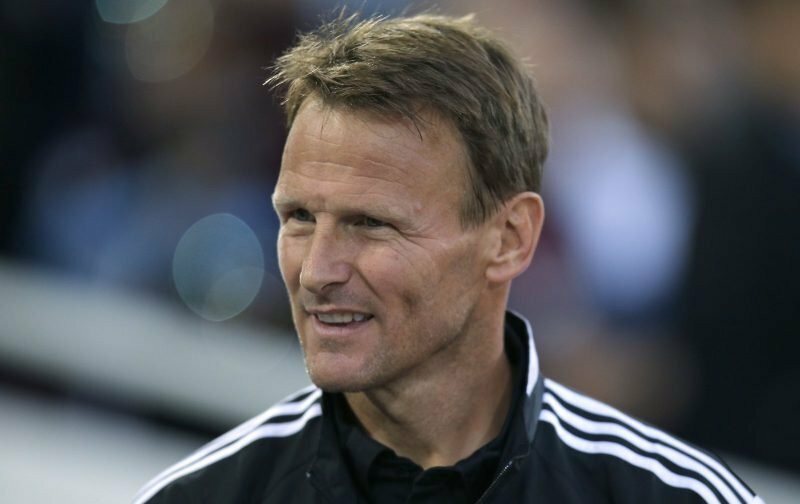 Shoot would like to wish former England international goalscorer Teddy Sheringham many happy returns as he celebrated his 53rd birthday earlier this week. Sheringham’s career in English football, both on the domestic and international stage was very impressive. In total, he played for eight clubs (not including loan spells), with two stints at Tottenham Hotspur. Born and raised in North-East London, the striker began his career at fellow London club Millwall, where he made his debut at just 17 and managing to notch on just his second appearance for the club. Following both promotion to the old First Division (highest league in England) and relegation, Sheringham ended his eight-year stint at The Den their all-time leading goal scorer with 111 goals in all competitions, a milestone that wasn’t beaten until 2009. The ex-England man made his move to Brian Clough’s Nottingham Forest for £2million, but just a year and 14 goals later was sold to Tottenham Hotspur for £2.1million at the start of the brand-new Premiership season. Sheringham and Klinsmann struck up a great partnership at Spurs. Tottenham fans couldn’t have asked for more from their new striker, with Sheringham finishing top scorer in the inaugural Premiership season with 22 goals (one for Forest). Sheringham was a hit amongst the Spurs fans and had formed a formidable striker partnership with German Jurgen Klinsmann. But, after five seasons with the club, Sheringham couldn’t turn down a move to Manchester United, leaving White Hart Lane scoring 75 goals in 166 appearances. In the summer of 1997, Sheringham joined the Red Devils with no major honours to his name, and at the age of 31, it was thought that was a big reason for his move. Although the club secured the Charity Shield, the silky striker’s first season proved a frustrating one, as Arsenal went on to secure the domestic double. However, not many will forget Sheringham’s next season as United went on to secure the famous domestic treble, winning the Premier League, FA Cup and Champions League in the 1998/99 campaign. Although the then 32-year-old’s appearances were fairly limited, ‘Teddy’ still went on to score in the FA Cup Final and that famous equaliser against Bayern Munich. Teddy after completing the treble. The goalscorer’s last season under Sir Alex Ferguson was his most impressive on a personal level, finishing the club’s top scorer and claiming both the PFA Player of the Year and Football Writers’ Award at the end of the 2000/01 campaign. By the time Sherignham moved on from the North West, he had secured three Premier League titles, the FA Cup and the Champions League. At the age of 34, most players will be close to hanging up their boots. The Londoner certainly had other ideas though. He returned to Spurs for another two seasons, before a successful stint at Portsmouth, West Ham (playing in the Premier League at 40!) and finally Colchester United, where he drew the curtain on his playing days at the incredible age of 42! Before we reflect on what Sheringham has gone on to do after football, it wouldn’t be right to let his international career go unmentioned. A fairly late bloomer for the Three Lions, the ex-Tottenham man didn’t make his England debut until he was 27 in 1993. But it was under Terry Venables where Sheringham came into his own, forming a fearsome partnership with Alan Shearer. Who can forget that Euro ’96 performance against Holland? Sheringham scoring twice in a thumping 4-1 win. Sheringham scores his second against Holland. Just like his club career, the forward, who scored the equaliser in the game against Greece now known for the David Beckham free-kick, played on a long time for his country, finally retiring from international duty after the World Cup in 2002 at the age of 36, having received 51 caps and scoring 11 goals. Sheringham was simply a classy player, his intelligence separating him from many around him and he certainly had an eye for a goal. But having hung up his boots, what did the ex-Pompey striker go on to do? A little-known fact about Sheringham post-career is he was a very keen poker player. So much so that in 2008, he entered the No Limit Hold’em Main Event in the EPT Vilamoura and made the final table, eventually finishing fifth and earning himself €93,121 in the process! Cards wasn’t going to be a second career for Teddy though, and it wasn’t long before he was back in football, taking up the attacking coach role at West Ham United in 2014. At the time Sam Allardyce’s Hammers were criticised for their lack of attacking flair and the ex-West Ham forward made a big impact on their style of play at Upton Park. Now Sheringham had got a taste for coaching it was clear he wanted to step up to a position in management. That opportunity came in the way of League Two Stevenage in the summer of 2015, replacing Graham Westley. 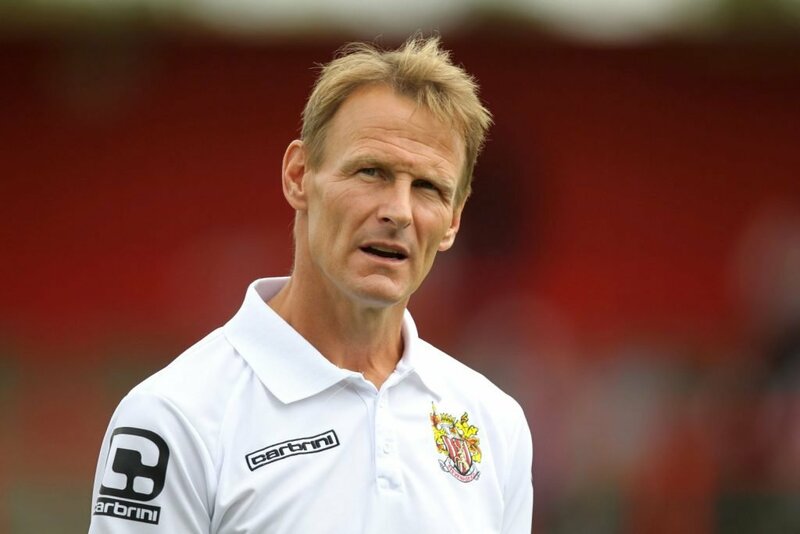 Sheringham in his first managerial role at Stevenage. Unfortunately, his stint only lasted eight months as he was sacked in February following the club’s slide down the league table to 19th. After spending the vast majority of his playing days in England (one loan spell at Djurgårdens IF in Sweden), and his coaching days too, the former forward took up an interesting role as first-team coach Indian Super League club ATK. Based in Kolkata, this was an entirely new experience for the London-lad. Unfortunately, having taken the job in July 2017, Sheringham was sacked at the start of 2018, with the club struggling for form. It remains to be seen where Sheringham’s next role will be. We can say with almost certainty that he has and will receive plenty of coaching offers and will be sure to take up a role soon. A man of his pedigree is never out of work for long!